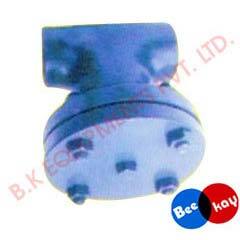 We are Tee Type Strainer manufacturer, exporter, and supplier in Chennai, Tamil Nadu. The range of strainers we deal in is fabricated with the use of high-quality materials. This quality approved strainer of ours guarantee high performance and durability. Also, they are designed in compliance with the industrial standard quality system. Purchase our Tee Type Strainer at the most competitive rates. Our deliveries are always on time and we offer world class packaging options.